The Big Give Christmas Challenge Round Up! Seven days. Three match-funders. 292 donors. £45,881 pounds raised to train and support volunteers to bring weekly Shared Reading groups to isolated older people across the UK. Phew – What a week! At midday on Tuesday we wrapped up The Big Give Christmas Challenge after a huge seven-day campaign to raise funds for our work with socially isolated older people. We were blown away by the generosity of our supporters right across the country, from Cornwall up to Aberdeenshire, and from Norfolk all the way across to Tyrone, 292 individuals gave a total of £21,369 in just seven days. And thanks to the support of CHK Charities Ltd, Booker Prize winning translator Deborah Smith and an anonymous match-funder we had an incredible opportunity to double the impact of individual donations made during the week-long campaign, which when combined with gift aid raised a total of £45,881 to train and support volunteer Reader Leaders who will read with older people in care homes and community settings across the UK. To everyone who donated, baked, knitted, raised money through book sales, tweeted, talked to radio DJs, friends, family, neighbours and strangers to spread the news – we’d like to say a huge Reader thank you! We launched the Christmas Challenge on Tuesday 28 November with our wonderful Knit and Natter group at our headquarters in Calderstones Park, with an incredible donation of £1106 raised through the sale of their homemade wares at The Reader Gallery. We also welcomed Rhod Davies from the Charity Aid Foundation to a Shared Reading group to celebrate Giving Tuesday. “Ever since I won the prize I’ve been agonising over what to do with the money, and when I heard about the work The Reader does I thought ‘I want that to happen in Doncaster’. Literature has opened so many doors for me and growing up I felt like my real education came from reading books from my local library, so it’s really important to me to be able to give something back. Across the week our friends at Cheshire Farm’s Ice Cream Farm raised money to donate to The Big Give Christmas Challenge and at Reader HQ we held a week of exciting events, with the Giving Tuesday Book Giveaway, after-dark heritage tours with The Calder Stones by Candlelight, a Literary Bake Off and festive fun at The Reader’s Christmas Courtyard Fair. Keeping track of the Big Give totaliser! Our Literary Bake Off in full swing! We all enjoyed FUDD’s delicious tasters! Author troadminPosted on 7th December 2017 18th December 2017 Categories Calderstones, Campaigns, Events, Fundraising, Gallery, News, Radio, Shared Reading, The Arts, The Reader, The StorybarnTags Big Give Christmas Challenge, Charities Aid Foundation, Cheshire Farm, Christmas Courtyard Fair, Knit and Natter, The Ice Cream Farm, The StorybarnLeave a comment on The Big Give Christmas Challenge Round Up! The Reader’s founder and director Jane Davis speaks to Carole Richardson for Yours Magazine Wonder Women series. Published Tuesday 18 July. Read the full interview here. 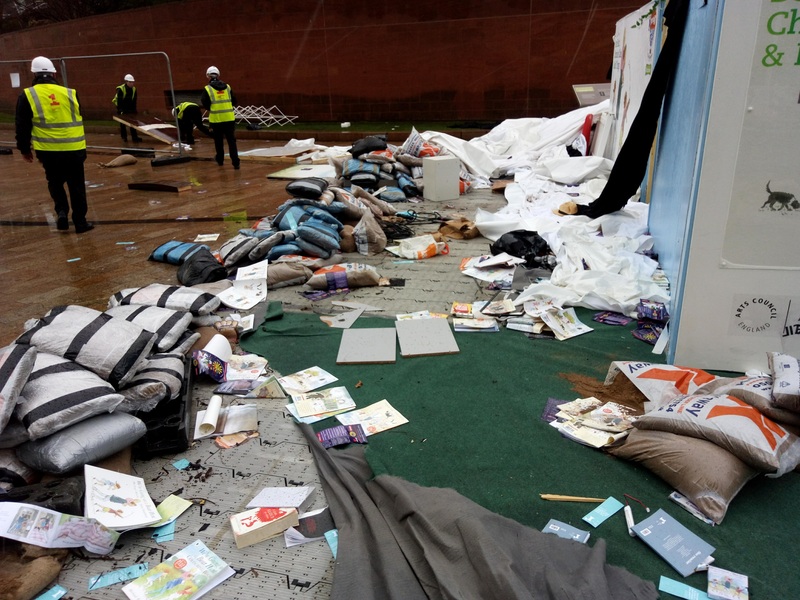 Following yesterday’s storm damage, The Reader have released the following statement regarding Bear Hunt, Chocolate Cake & Bad Things. Arriva North West are going on a Bear Hunt! 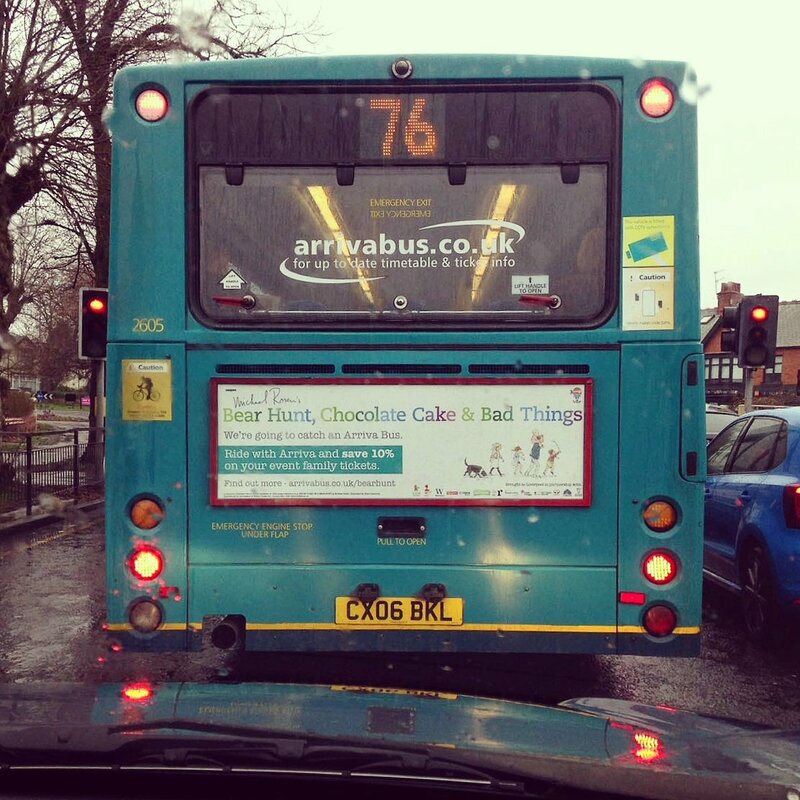 Official travel partners on Bear Hunt Chocolate Cake & Bad Things, Arriva North West reveal Bear Hunt buses and a special offer for families. Author troadminPosted on 21st February 2017 29th March 2017 Categories In the Media, Liverpool, Merseyside, News, Schools & Young People, The StorybarnLeave a comment on Arriva North West are going on a Bear Hunt! Discussions on literature and empathy continue to buzz around The Reader HQ following Obama’s sentiments on reading for empathy, our founder and director Jane Davis reflects on how literature can help us connect with others. This month The Reader features in The Psychologist magazine. CRILS’ Philip Davis discusses Literature in performance, psychology in action. We went on a bear hunt! And what a beautiful day it was! At The Reader Organisation we are firm believers in the magic of reading aloud, and it’s nice to know that other people agree with us. In this lovely review of A Little Aloud for Children, acclaimed author Adele Geras urges readers – young and old – to harness their inner child and discover the delights that await within the pages. In particular, Adele comments on the great selection of poetry in the anthology, as well as the combination of contemporary and older pieces. book. 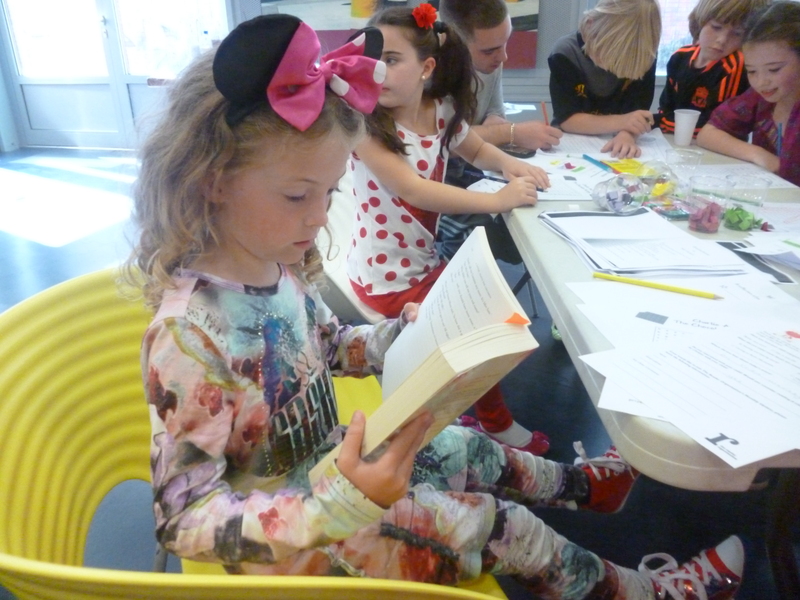 She notes that reading aloud can be relaxing and stimulating, providing both comfort and excitement all in one go, for adults and children alike. As Adele says, “We all like to hear a story”, and A Little, Aloud for Children has plenty of them! You can buy your copy here and in all good book shops. Don’t forget to tell us which is your favourite and who you’re reading it with – we love to hear from you. Tall Tales and Little Angels! 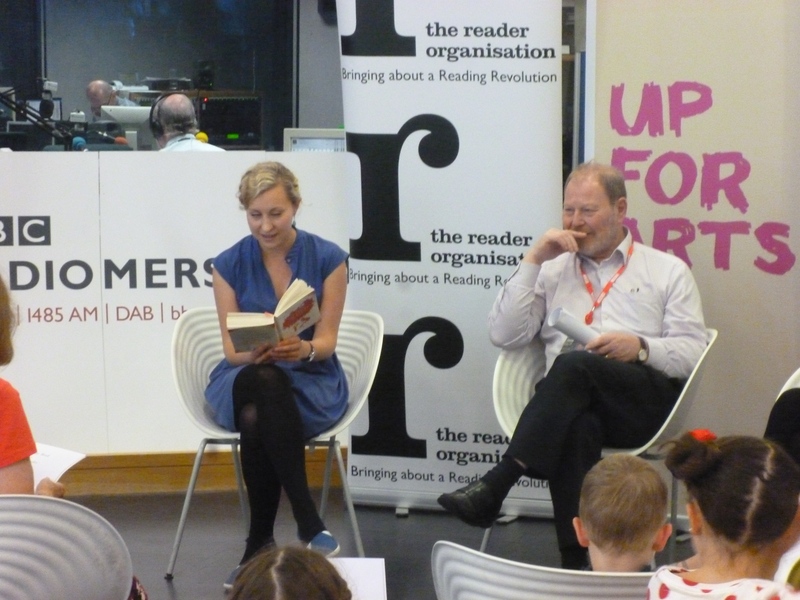 Staff from The Reader Organisation had a fantastic afternoon yesterday, hosting the event ‘Tall Tales for Little Children’ at BBC Radio Merseyside, which brought A Little, Aloud for Children to life for some local youngsters and their carers. The event kicked-off with a brilliant reading of the ever-popular extract from Frank Cottrell Boyce’s hilarious novel Cosmic, by the equally popular Radio Merseyside presenter Roger Phillips. 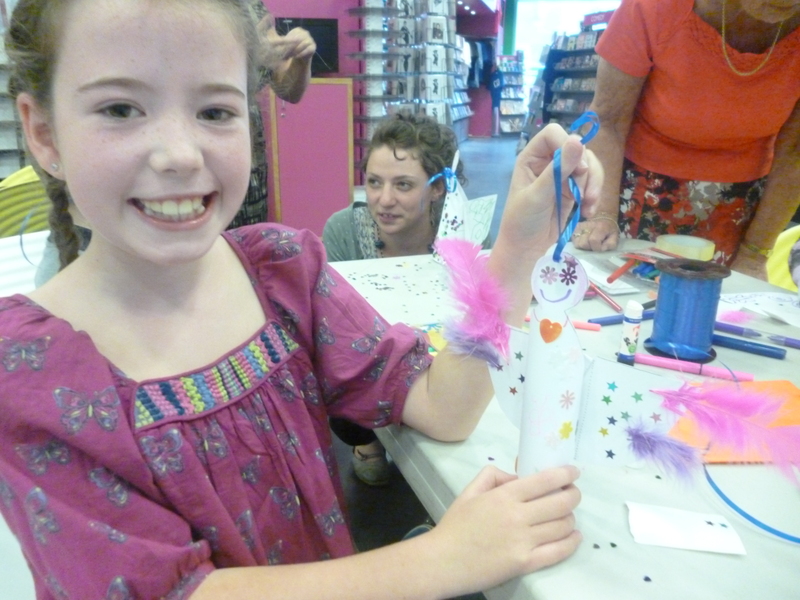 First-up was the chance to make and decorate some beautiful 3D angels, inspired by the poem ‘Angels’ by Jan Dean featured in the anthology. Sunny and his brother Noah showed us that angels aren’t just for girls, with their brilliant ‘boy angel’ and ‘bat angel’! 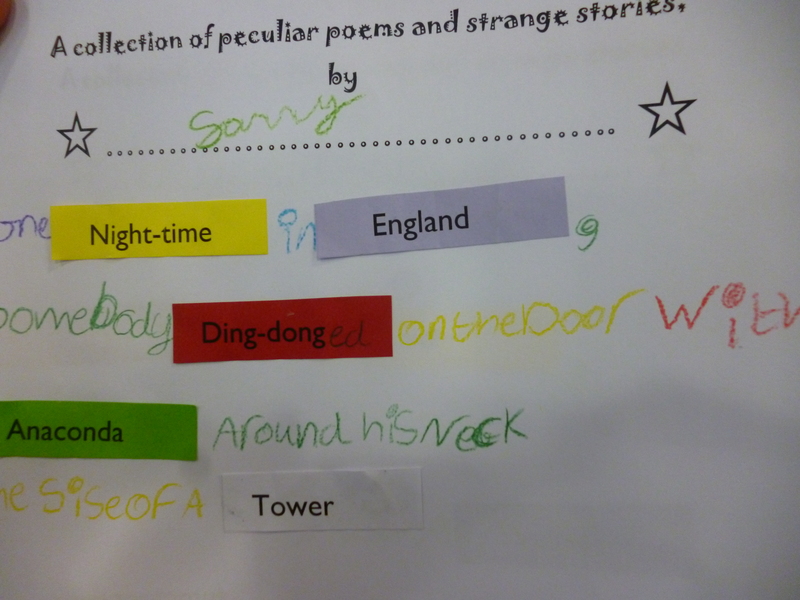 In the second activity, ‘Weird Words’, everybody got to be a poet for the afternoon: we penned our own very imaginative verses and stories using words taken from all of the poems featured in the anthology. ‘An Anaconda the size of a tower’?!! Yikes. 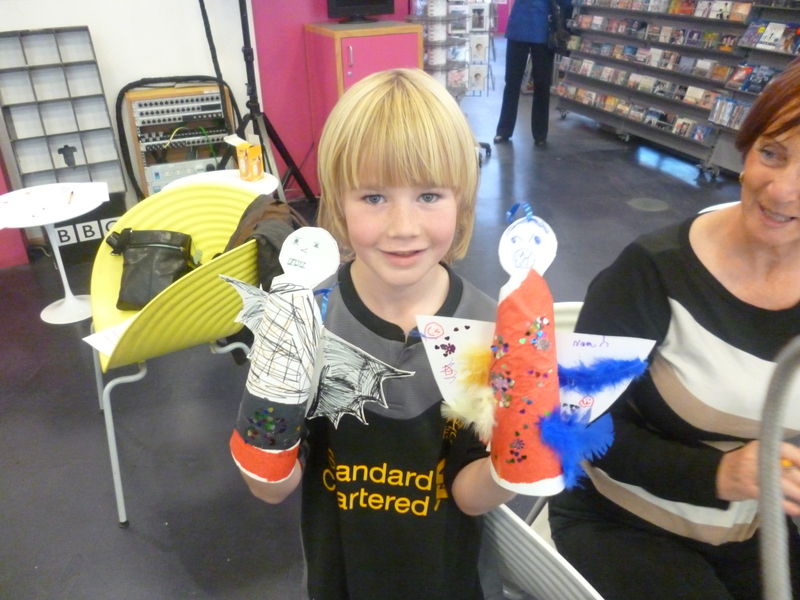 It was a lovely way to spend the afternoon, and everybody had a great time – so a big thank you to BBC Radio Merseyside and Up For Arts for inviting us to some along and giving us the space to run such a fun event. 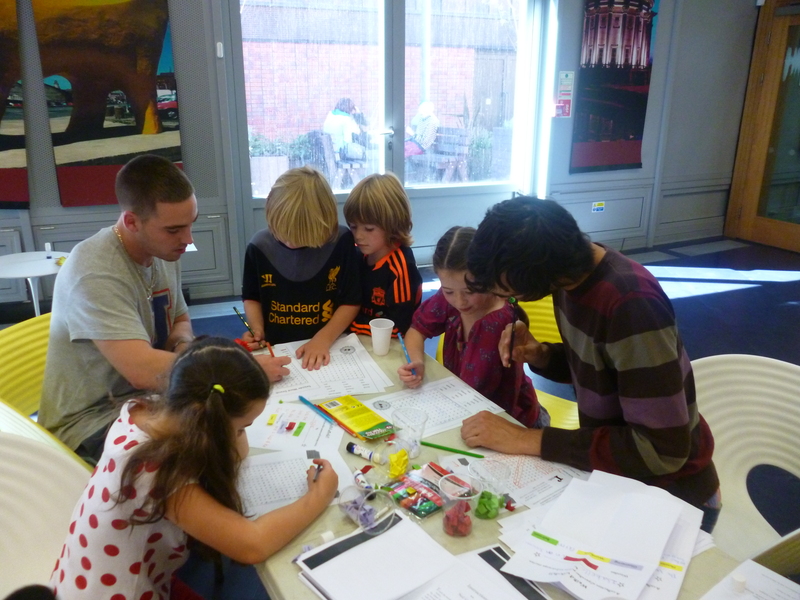 Author troadminPosted on 31st August 2012 16th February 2017 Categories A Little, Aloud for Children, Events, Liverpool, Radio, The Reader, Uncategorised1 Comment on Tall Tales and Little Angels!